Emily was not married, she looked after her grandmother and father in their old age, she was known as "Aunt Pem". 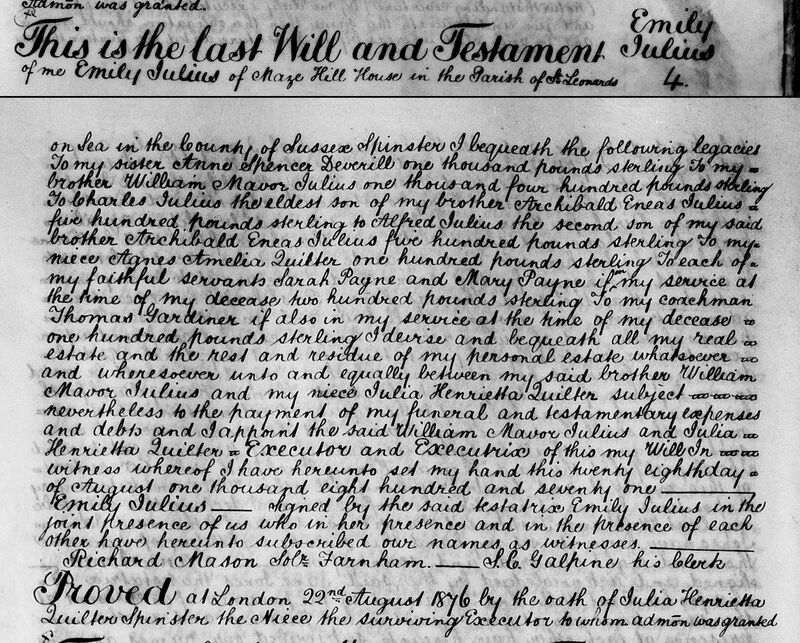 An alternative birth date for Emily is 31 July 1793. 3. Census: England, 8 Apr 1861, Richmond Lodge Farnham SRY. Emily is recorded as a daughter aged 63 unmarried born Bristol SOM. 4. Census: England, 2 Apr 1871, Maze Hill Hse. St Leonards On Sea Hastings. Emily is recorded as head of house aged 74 a single Lady born Bristol. Also in the house were three servants. 5. 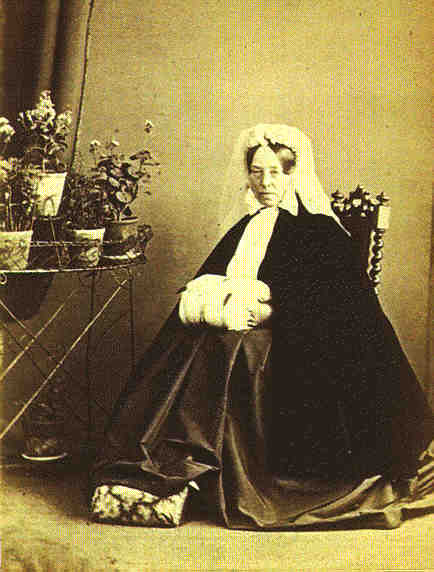 Emily Julius: Will, 28 Aug 1871.